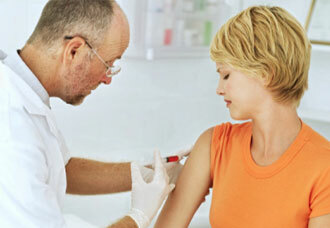 Where Can I Get a Flu Shot in Hickory, NC? As flu season approaches, people are lining up for their annual flu shots. The CDC recommends a flu shot for anyone over 6 months of age to avoid getting influenza (the flu) and to avoid spreading the virus to others. If you live in Hickory, NC and are wondering where you can get a flu shot, FastMed is available every day of the year with no appointment. What Should I Know About the Flu Shot Before I Get One? Pregnant women, young children, older adults and people with blood disorders or heart disease are at a higher risk flu complications, so getting a flu shot may be imperative for those people to stay healthy. Getting a flu shot should protect you from getting the flu, but even if you do end up with the flu, getting a flu shot could make your illness less severe. A common misconception is that getting the flu shot can in turn give you the flu. Most likely this is because many of the flu shot side effects resemble flu-like symptoms. Although side effects are rare, some people have reported fevers, muscle aches and soreness as flu shot side effects. Infants younger than 6 months and people with severe allergies to the flu vaccine should not get a flu shot. You can check-in online to reduce wait times. Our Hickory, NC clinic has state-of-the-art equipment like digital X-rays and onsite labs. We accept most major credit cards and personal checks for in-clinic payment. We have an online bill pay option and automatic payment option to save you even more time. FastMed Urgent Care is located on Conover Boulevard West in Hickory, NC. Whether you need a flu shot, a physical or digital X-rays, FastMed is there for you 365 days a year. Stop by today!